Heavy Zen: Embracing Stupidity: Overcoming Fear and Self-Doubt. Embracing Stupidity: Overcoming Fear and Self-Doubt. You know the mantra "always find the good in everything"? Well, here is a new way of using it. In his blog post on Fear–Based Decision Making James Clear talks about recognizing when you are making a decision based on fear and gives five suggestions on how to deal with it. Number two was right on, especially since I have been accused of believing the world revolves around me! (just ask my wife!). Think about it. Why worry? More then likely they don't care one way or the other! Don't get me wrong, this statement is probably something that is more of a generalization but defiantly a constructive way of getting over that hesitation. Don't misunderstand me, you do have people in your life that care like family, friends and teachers but as James points out more then likely they want you to succeed not fail. Eliminate the rest. I'm not going to lie to you, this isn't easy to do. 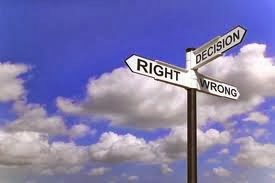 Even the greatest and most confident of people deal with internal questions that hinder thir decision making process. Just remember that failure is only an obstacle! You can read the entire post here It’s Good to Feel Stupid: 5 Thoughts on Overcoming Fear and Self-Doubt.